Limited Early Bird Tickets Available! Book Below! 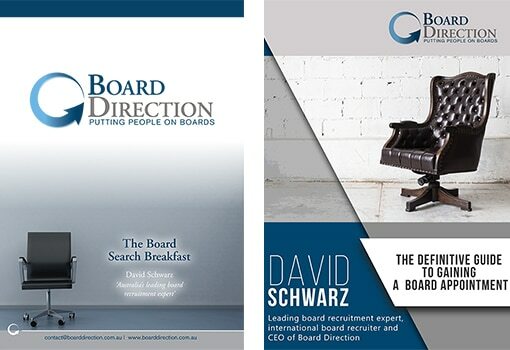 Attending the Board Search Breakfast could career and life changing! You will learn, in practical detail, what you need to do to: FIND board opportunities, GET appointed & FAST TRACK a board appointment. 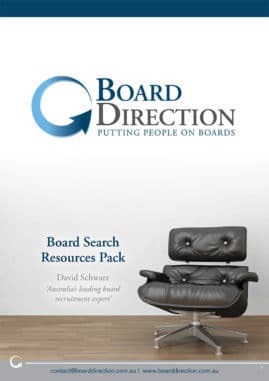 Specifically, you will discover ALL the tactics and strategies you need to develop a board career! So confident are we that this is the most detailed and valuable event of its kind that if you don’t agree, we will refund your fee 100%. You have nothing to lose as you can also redeem the price of your ticket off most of our Board Direction Membership Packages!